This past week was great in so many ways! I had a lesson on Tuesday that I taught to my third graders about tables and graphs! When I started I asked the kiddos, “What can you tell me about tables?” And this student raised his hand and said, “I EAT DINNER ON THEM.” It was hilarious and really got the kids into the lesson! Kids have such funny senses of humor, I love it! 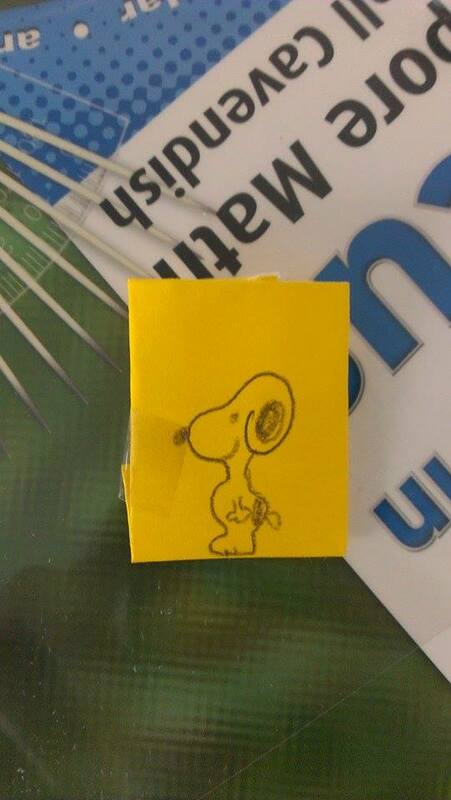 After my lesson one of my students told me that I was a really good teacher and gave me this “pocket snoopy”. My heart exploded into a million pieces from happiness. 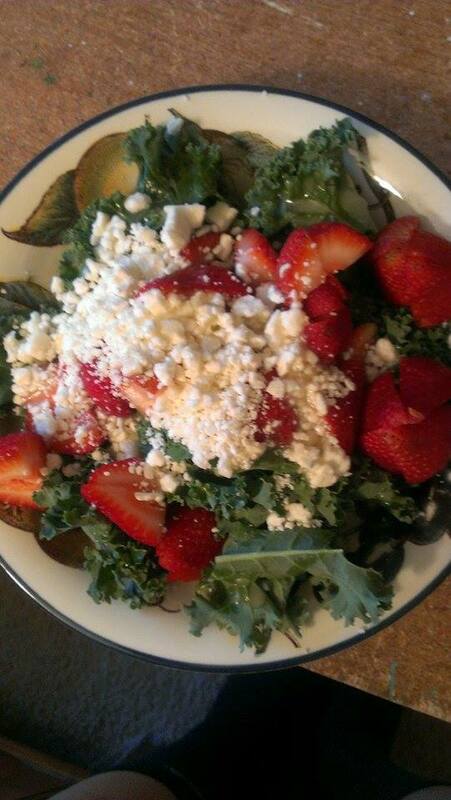 And this salad is still going on strong in my life. So delicious. I usually eat two bowls…No regrets. Also I love sweet potatoes and have started eating them again! 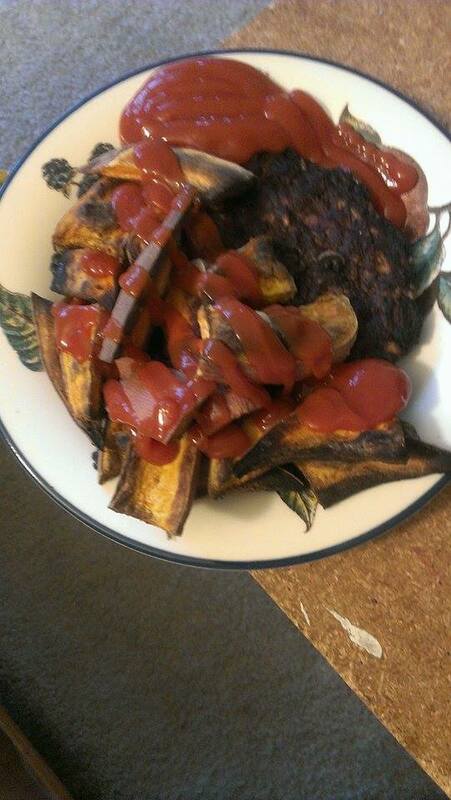 Last night I made them but sadly burnt them 😦 But that didn’t stop me from digging in. 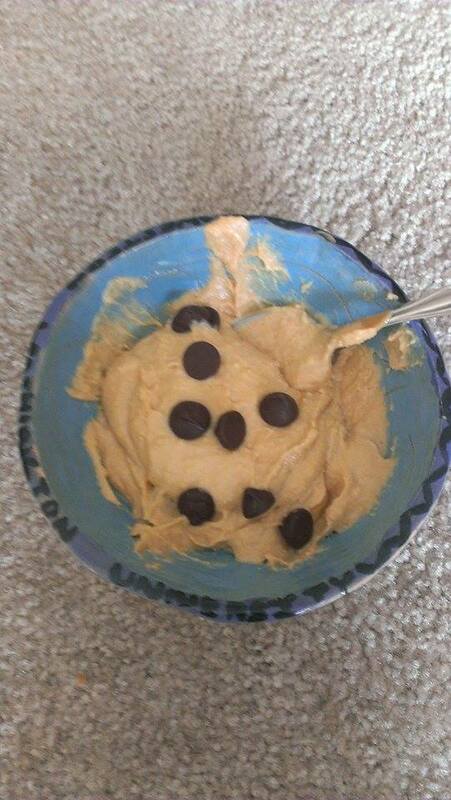 And today I also tried out a chickpea cookie dough recipe. It was pretty good and I am more than happy to eat it because cookie dough and all of it’s buttery goodness is one of my favourite things to eat in the entire world. And right after I ate this bowl of heaven Cody went off to an engineering awards dinner! 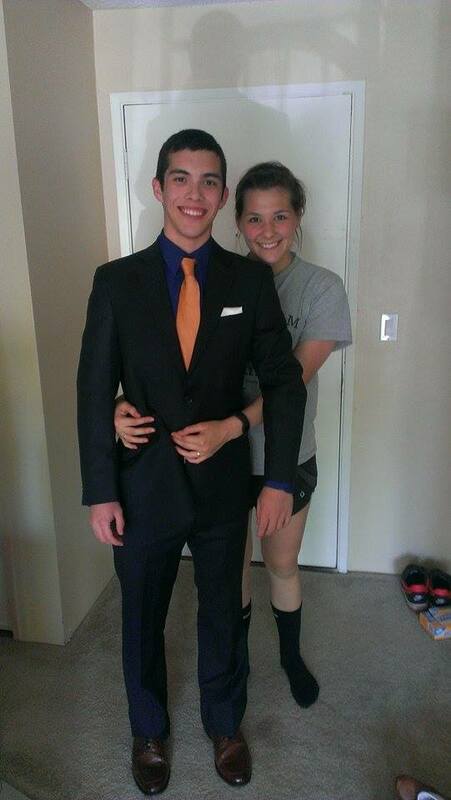 He sure is handsome! However, I was sweaty and ugly so I hid behind him!! (Guests had to pay $75 to go…hence why I stayed home. But I am there in spirit). I am trying to run 4 days a week and doing other forms of cardio/weight lifting on the other days! Yesterday I got a solid 6 miles in plus a little time on the elliptical. It was glorious. I was a sweaty mess though! I ran down to Green Lake and back, but when I got back I was only at 5.76 miles…runners know that you can’t stop at a number like that…So I ran around my apartment complex until I hit a perfect 6! With a 9:15 average pace. I’ll take it! Tomorrow I am going to get in 8 miles and a running in an 8k race on Sunday for Type 1 Diabetes!! I hope that you all have a great weekend! Get outside!